Lesser Whitethroats are just that little bit different. Whilst most other British warblers migrate south at the end of the breeding season, Lesser Whitethroats head for northern Italy. Having fattened up, they cross the Mediterranean, on their way to Sudan, Ethiopia and neighbouring countries, where they exchange the thick, leafy hedges and thickets of England for thorny scrub. Birds we see arriving in spring will have passed north through countries such as Israel and Turkey, before heading west. This all means that the Lesser Whitethroat you hear in an English lane next week may be the same bird that you saw in Crete last autumn or in Eilat in February. The Lesser Whitethroat is one of the last of our migrants to return, arriving at the same sort of time as Turtle Dove and Swift, just before the tardy Spotted Flycatcher and five weeks after the early birds. It is not easy to get a good view of a Lesser Whitethroat and to see the striking mask, set off by an ash-grey cap and a white moustachial line. Unlike the ebullient male Whitethroat, perfectly prepared to shout from the top of a hawthorn hedge or take to the air in a song-flight, his smaller cousin prefers to stay in the middle of a bush to deliver his rattling mixture of warbled notes. I am not a fan of the song but that could have something to do with the fact that I am often the last to pick it up. Half a weedy note is enough to draw my attention to a Bullfinch but I find a Lesser Whitethroat in full song in the same hedge much harder. Male Lesser Whitethroats start one or two nests, singing and displaying until a female becomes interested and joins him to complete the preferred cup. This will usually be within the prickly protection of hawthorn or bramble, in a tall, thick hedge containing occasional trees. Territories are quite large and males can move silently between song-posts up to 100 metres or 200 metres apart. Early in the season, before finding a female, males may choose a song-post quite high up in a tree. Generally though, this is a secretive species and there are relatively few 10km squares in which we have proof-of-breeding for the atlas. 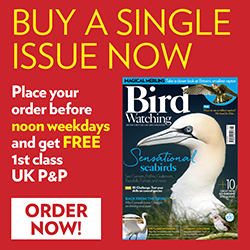 Over this summer and next, we hope that people will spend time looking into hedges – either trying to carefully locate nests or using binoculars to try to spot pairs of birds, adults with food or begging youngsters. The breeding distribution of the Lesser Whitethroat reflects its eastern origins. Numbers thin out in the southwest of England and there are relatively few in Wales, where they are found mostly in the south, along the north coast and into Anglesey. In the 20 years between the breeding atlases of 1968-72 and 1988-91, the species spread further up the east and west coast of England, moving into coastal areas of southern Scotland. Results from the Breeding Bird Survey indicate that there has not been much of a change in numbers since 1995 but, as the species occurs in fewer than 10% of survey squares, it would be hard to pick up a small-scale change in the population level. Bird Atlas 2007-11 seems to be confirming a stable situation, with the species occupying similar areas to those shown in last breeding atlas, perhaps with some losses in the west. This is definitely a species to try to capture on the lists that you submit as atlas roving records or on BirdTrack.